Deciding whether to become a professional estate sale liquidator is a major decision and requires you to decide about the many factors involved in estate liquidation. It isn’t an as easy as it looks and requires dedication and usually much more than a 40 hour week. 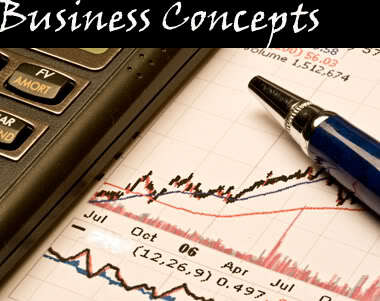 You will require some working capital to get started and to sustain you until you develop a clientele. It is helpful to have attended estate sales to see how different estate liquidators work. Each estate sale company works a little differently, however, most follow some basics such as sorting, cleaning, staging (or setting up) and pricing. In order to become a successful estate liquidator it is beneficial to apprentice or work for an estate sale company. Become familiar with the process. You will also need a true working knowledge of what you are selling (what the item is, age, and what its’ value is). Most of the very successful estate sale companies have experience and knowledge either as antique dealers, consignment shop owners, collectors or from working for other estate sale companies. They may also have taken courses to assist them in knowing how the entire process works from the initial contact with a client to the clean out of the premises after the sale. Speaking with estate liquidators is very beneficial as well. There is so much to consider. Some of the basics needed will be a license (if required), tables and supplies for set-up, liability insurance, a staff that is knowledgeable and reliable, an estate sale contract and thorough understanding of what should be included, a working knowledge of national, state, and local laws, ordinances etc., (from inability to sell prohibited items to permits for the sale and signs) and more. You will need to decided what types of payment you will accept, the payout to the client and if you will offer additional services such as clean out. To become an estate liquidator you will also need to know about marketing, (how to advertise and where your target audience is), what items may bring the most interest of buyers to your sale. 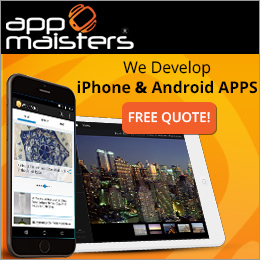 Whether you will want a website and if you do what will work best for you. You should also know about the the benefits of social media marketing and how to use it to your advantage. There is much more than the discussion above to becoming a successful professional estate liquidator, but understanding the basics is a start and can help with your decision. So Many Estate Sales, So Many Estate Sale Companies – Why? For those that are avid fans or shoppers at estate sales the extraordinary numbers of estate liquidations has created a utopia. This demand has been created by the millions of baby boomers moving, downsizing, and going into retirement. Estate sale companies have formed across the country, encouraged by the concept of being their own boss and what they perceive as the money to be made. This encouragement comes from a variety of sources, many of which profit from the creation of estate sale companies and liquidators. Where there were once four or five estate sale companies now there may be 100 to 200 in metropolitan areas. Many shoppers at estate sales are looking for items to resell on such websites as eBay or Etsy. They may repurpose or redesign them (a good example would be what happens on the HGTV program Flea Market Flip). The rare, unique, and highly collectible still sell, but then there is “the rest of the stuff”, general household, furnishings, lawn equipment, used cars etc. Selling these items isn’t as easy as it once was. 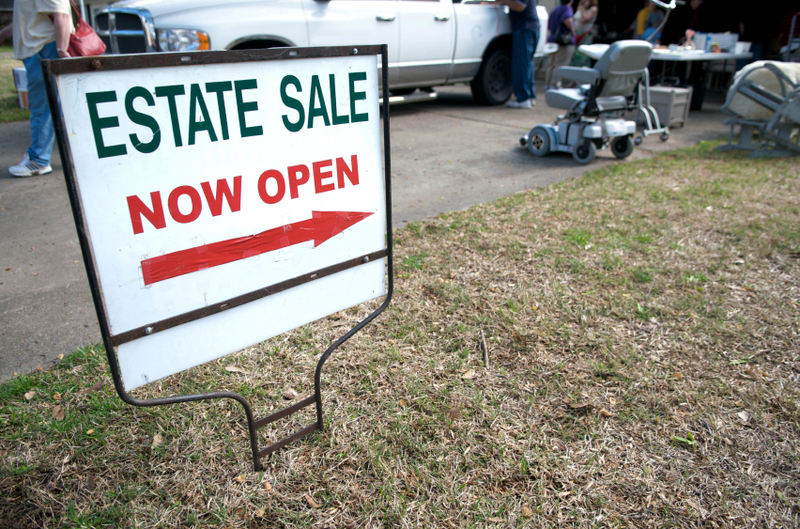 Estate liquidators have to be savvy marketers and know where their buying base is. For many it comes from publicizing the sale on estate sale listing websites, Estatesale.com, EstateSales.Net, or EstateSales.org. However, with so many estate sale companies and sales, that may not be enough depending on their location. Facebook, Twitter, and email lists have become a great resource for reaching buyers. Estate sales are great places to find everything from fine jewelry to laundry detergent. Save dollars, go green, and support your local economy. Thousands of estate sales and thousands of estate sale companies, and everyone is different in some way. Many estate sale companies do not want to handle the small sales (under $5,000, in some areas of the country that could be $10,000). Don’t feel insulted or hopeless. There are so many estate sale companies out there with some good researching you should be able to find a reputable company that can help you. There are several reasons estate sale companies are carefully choosing which sales they will handle. 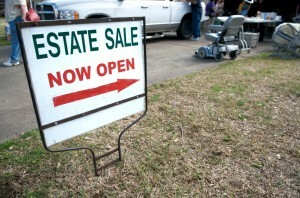 Many estate sale companies have full time staff (a cost of $10/hour or more per employee), liability insurance, licensing (if required in your area) the cost of advertising (if the companies are listed on all three major estate sale listing websites – Estatesale.com, EstateSales.Net, and EstateSales.org), the monthly costs are significant. Many estate sale companies spend an average of $5,000/month just on maintaining advertising and visibility on the internet. This can also include Facebook boosts and Twitter. There are estate sale companies that also handle online auctions as well, so you have to decide how you want your personal property disseminated. It is important to keep in mind that unless the items are rare, or unique, the value is similar to what happens at a used car lot. Once driven off the lot, the value decreases and for some, if they are moving or downsizing just eliminating their belongings is what really counts. When you telephone estate liquidators ask them if they only take sales with minimum values. Don’t feel offended, remember this is business for them, and there is someone out there for you. It may require a little more investigation. You may also want to look at the estate sale listing sites above to see what companies are showing for their current sales. Estate Sale Photos – What’s Good And What Is Not! As estate sales are now reaching a fever pitch for the spring and there are thousands of sales to look at, photographs become even more important. With the major estate sale listing websites showcasing sales and delivering emails to your inbox with links to sales and photos, photography becomes very important to grab attention. Digger sales (where there is just an over abundance of items and not enough display area) showing some of the massive amount that you might be digging through to find that treasure or item you desire can be of interest, it is also important to show in more formally staged photos some items of value and interest that have already been discovered by the liquidator. The use of back drops (black, white, or gray cloths depending on the item’s color) good lighting without glare, and close ups are crucial to encouraging people to come to the sale and be willing to search through boxes, bags, etc. It is also important that if you are attending a digger sale bring a flash light, magnifying glass, rubber or latex gloves, and be prepared for dust and even a little “dirtiness”. In other words, wear clothing that you won’t mind soiling. 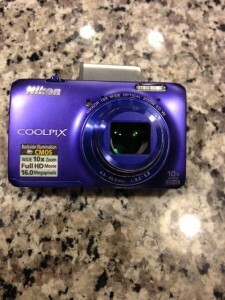 When hiring an estate sale company ask to see photographs of some of their previous sales. Most companies now bring along a tablet or iPad so it shouldn’t be a problem to view. You may want to look through the various photos of several estate sale companies as a seller to see which ones promoted their estate sales well and which didn’t and as a buyer, to decide if it is really worth your time. Using video for a sale is also a good way to attract potential sellers and buyers, but again look at the quality. Learning to take video takes a little time (we experienced that too). Whatever is the case, be sure you take the time to look at the photos put up by estate liquidators. A photo can be worth a thousand words. Estate Sales News is “the” online source for estate sales information (contracts, staging, choosing an estate sale company, how to interview, what to expect, pay out, clean out, and more) news, help, tips and where to find estate sale companies and estate sale listings. Click on the links below to find 1000’s of estate sales. How many remember seeing a woman relative connected to one of these? 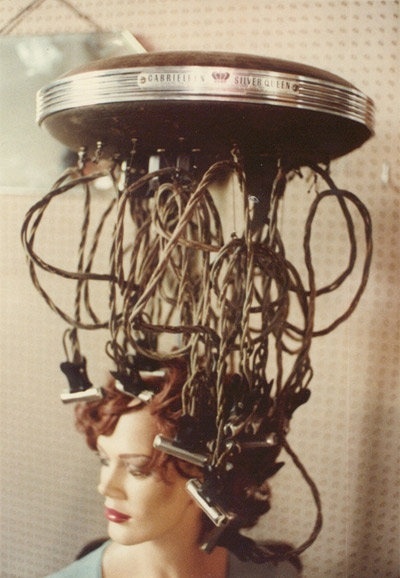 Getting a permanent wave! April 1, 2015 and with new additions and features. Estate Sales News offers topics we have written about in the past, present, and future. What you need to know. This list is for sellers, buyers, and estate sale companies. If you have a topic you would like us to report on just email us at support@estatesalesnews.com. Animals – dealing with pet stains and odors etc. Estate sale Contracts – What are the basics and what you should know. 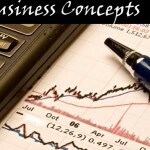 Taxes – an on going topic about estate taxes and sales taxes in different states. Videos – News worthy estate sales and video chats. Remember you can register to receive our new articles delivered to your inbox at no cost or obligation and follow us on social media, at Facebook, Twitter, Google+ and pinterest. Recently Estate Sales News had the opportunity to speak with a very successful estate sale company that does not have a website, but is successful through their knowledge and navigation of social media and an email list of customers known to them. The ability to navigate the social media highway is especially important if you do not have a website as an estate sale company. We are not suggesting you do not need a website, only that an estate liquidator can be successful (depending on their social media knowledge and ability) without one. The expertise to reach and attract buyers, and potential sellers is key to financial success. Knowledge and ability to market your brand and the contents you are charged with selling is an advertising accomplishment that shows not only experience, but marketing talent. It also helps to give a company an opportunity to stay ahead of their competition. Facebook and Twitter become your focal points. Facebook has an extensive reach and creating a photo album you share of a sale can bring in new buyers as well as those that follow you, increasing your customer base while permitting you a space between you and your competition. If you are using Facebook, be sure to post and describe photos and follow your posts on a regular daily basis. It is also important to have a business Facebook page that is not your personal page. You can remind your buyers at each and every sale to follow you on Facebook or Twitter for upcoming sales and photos either with signs, business cards or any combination that provides the address where to find your company. Estate sale listing websites remind buyers with every email about sales in there area to follow them on Facebook, showcasing their marketing at it’s best. You can accept buyers signing for your own email list for upcoming sales & news of interest. 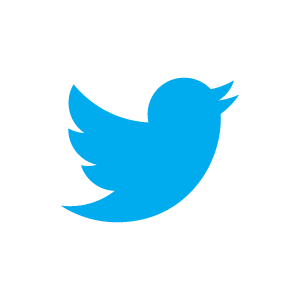 Using Twitter to say in 140 characters or less tidbits of interest about your company, your sales, and any other information you want to share with the public is also an advertising highway to drive interest to your sales and your company. Keep it interesting. Include a photo. Using estate sale listing websites with their broad audiences, visibility on page one of Google, and thousands of clicks each day is a necessity for almost all, but be sure on your page to remind your audience that they can find you on Facebook and Twitter and provide the address or link for them. Sellers this information is of great importance to you. The right company is the one you have done your due diligence with and will market your sale to optimize it’s potential return. 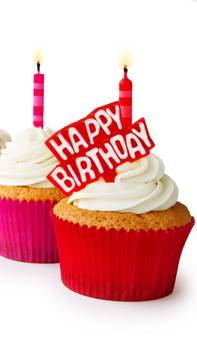 Two years ago today we started publishing EstateSalesNews.com. This online news magazine and resource has continued to evolve and over the next several weeks we will be introducing new and we hope exciting additions. We celebrate today and give our sincere thanks to those who have we have been part of this growth. Our feature guest authors (Judy Martin and Julie Hall, both appraisers and experienced liquidators. Judy is a director of the International Society of Appraisers, ISA. Julie is also the director and owner of the American Society of Estate Liquidators). Estate Sales News has traveled to California, Michigan, Georgia, Illinois, Maryland, Virginia, Nevada, Missouri, and Florida to name a few of the states we have spent time in covering news worthy estate sales. We attended and reported on two Estate Sale Conferences and we spoke about estate sale contracts at the 2014 conference. We went to the headquarters of EstateSales.NET in Jackson, MO, interviewing Dan and Micky McQuade, the founders and owners. We have had guest articles from Lofty, (an online auction site), CRTS (Certified Relocation Transition Specialists), Lela of TrashFindRedesigned (turning estate sale and other finds into great repurposed items). We hope we haven’t left anyone unmentioned. 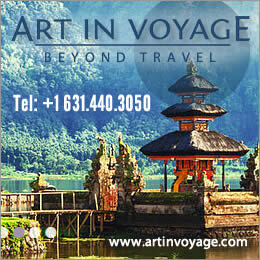 We would also like to thank our advertisers who have supported us. Please support them if you are part of our audience. 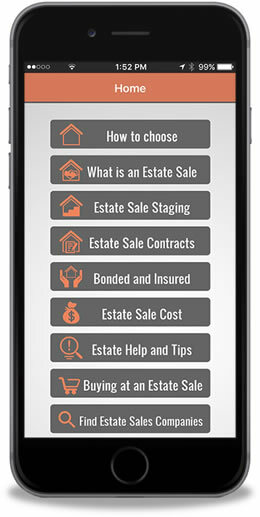 Our goal two years ago was to inform and provide a resource for estate sale sellers, buyers, and estate sale companies. We have and continue to talk about how to choose an estate sale company, estate sale tips, estate sale contracts, staging the sale, estate sale etiquette, pricing, what is an estate sale, dealing with the uncomfortable moments that can occur with sellers or buyers, rare or unique finds and more. 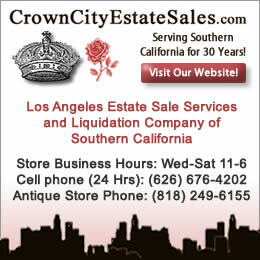 Entering our third year we will continue to present information to keep you informed on the wide world of estate sales. Thanks for being part of our history and we look forward to continuing the future with you. Monday, February 23rd, we discussed five websites where you could include your estate sale company and website information. Today we will continue with more ways to grow the audience for estate sale buyers and sellers. It is important to have print items as well. Having a brochure (it can be two sided or a tri-fold) that describes your company and the services you provide is an excellent way of displaying your company and professionalism. It should include enough information that will interest perspective sellers wanting to call you and inquire further. It should include a some of your history, a few photos, your company logo, website address, and your telephone number. You may want to consider (if your state or community permits) having magnetic signs made with your company name, logo, and phone number to go on the driver door and passenger front door of your vehicle. Some estate sale companies have gone to the extent of having their vehicle wrapped with advertising information. Always have a stack of business cards at every sale. They are important for buyers and future sellers. Having a small tripod that can be placed on a table near a cashier or staff member with notices of future sales is also important. It generates future interest. Just make sure it does not distract your cashier. A guest book or email list near the check out is an excellent way to grow your email contacts. Write your customers a newsletter. You can do this through various estate sale listing websites or Constant Contact. Keep them informed about sales and any news about your business. If you recently sold an unusual or difficult item let them know this. Also remind them what type of payments you accept and the terms of your sales. If you use one of several methods for orderly entry (sign-up list, numbers, etc) that should be included in every newsletter. Let them know about any new websites your company can be viewed on. You can even mention parking conditions at various sales. Keeping buyers (and future sellers if they would like to be included) informed is a vital way to get your message out to the public. Be sure to ask them to share your newsletter with friends or family as well. If you have local newspapers that have readership you may want to advertise your company with them. We also want to focus today on an important website that is often overlooked by estate sale companies. Pinterest. 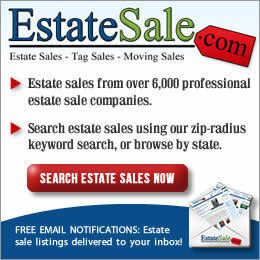 Estate Sales News uses this website to showcase estate sales and estate sale items. 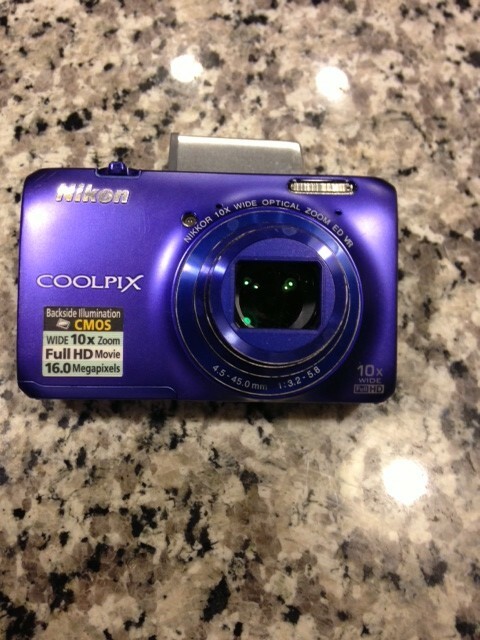 This is an excellent area to feature your sale photos and videos. We currently have 40 boards. If you are a member of Pinterest please visit us at this link. Another new and popular website is Instagram. 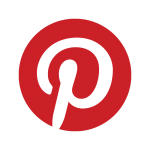 This site allows you to share social networking with photos and videos. It is another way to showcase your estate sale items, staging, and videos of your sales and testimonials. We will continue providing information on audience generation and advertising next Monday. Copyright © 2015 Estate Sales News. All rights reserved. No part of this website or any of its contents may be reproduced, copied, modified or adapted, without the prior written consent of the author, unless otherwise indicated for stand-alone materials.